BEVERLY HILLS, Calif. - Nine features from among those submitted for consideration in the Academy Awards' Best Foreign Language Film category have advanced to the next round of voting, it was announced Friday. Films from seventy-six countries -- the most ever -- had been considered. While countries choose which motion pictures to submit, Academy rules regarding theatrical distribution have kept some films from eligibility, such as the highly-acclaimed French drama, "Blue Is the Warmest Color." A committee of several hundred Los Angeles-based Academy members screened submissions and voted, with their top six choices augmented by three additional selections voted on by the Academy's Executive Committee. Screening committees in New York and L.A. will winnow down these choices to five, to be revealed when the Oscar nominations are announced on January 16, 2014. Belgian musician Didier and tattoo artist Elisa bond over a shared love for bluegrass music. The story tells of their life together raising a child - a life shaken by tragedy. And what would bluegrass music be without some tragedy? Veerle Baetens won Best Actress at the Tribeca Film Festival and European Film Awards, and the film won top prizes at festivals in Berlin, Norway in Hawaii. A slice of life about economic hardship for a dispossessed Roma family, in which a mother needing medical attention cannot pay the hospital, thereby facing death. Nazif Mujic won the Best Actor Award at the Berlin International Film Festival, where the movie also picked up the Jury Prize. Writer and documentary filmmaker Rithy Panh was Panh was 13 when the Cambodian capital Phnom Penh fell to Marxist revolutionaries. His film tells the story of atrocities committed by Pol Pot's Khmer Rouge, and the tragedy that befell his family. But with few images to tell his story -- his family's possessions were lost or destroyed, and precious little survives from a time when famine, disease and executions killed as many as three to four million people who had been forced from cities into the countryside to work on farms. Panh solved the problem of a lack of photos in a highly theatrical manner, by having clay figurines fashioned and posed in dioramas to represent a life that existed only in memory. Filmed in extreme closeup, the silent figures ache to tell the story Panh's poetic narration conjures. Mads Mikkelson (Nicolas Windig Refn's "Pusher" films, "Casino Royale," and TV's "Hannibal") plays an upstanding school teacher whose reputation and life and jeopardized by a slanderous accusation of pedophilia. Mikkelsen won the Best Actor Award at the Cannes Film Festival, while the movie -- a Golden Globe nominee for Best Foreign Film -- also received top honors at the British Independent Film Awards and the Ghent International Film Festival. Juliane Kohler, Liv Ullmann and Sven Nordin star in this drama set after the fall of the Berlin Wall, in which a family living in Norway is torn by the secrets of paternity unveiled from Stasi archives. This period action piece from the director of "Chungking Express," "2046," and "In the Mood for Love" tells the story of Ip Man, the martial arts master who trained Bruce Lee. 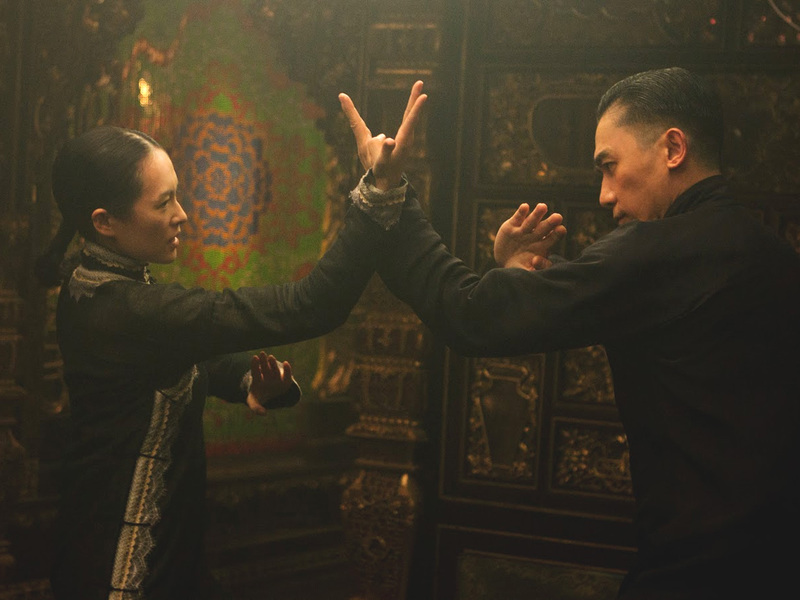 Starring Tony Leung Chiu-wai as Yip Man, and Zhang Ziyi ("Crouching Tiger, Hidden Dragon"). Two teenage brothers, sent to the countryside during World War II, confront the growing inhumanity unfolding around them by extinguishing all emotion from themselves -- and losing their own sense of humanity as the cost of their survival. A writer turning 65 takes stock of his life -- and of the Eternal City -- in Paolo Sorrentino's visually astonishing film. A Golden Globe nominee. Winner of the Un Certain Regard Jury Prize at this year's Cannes Film Festival, Hany Abu-Assad's psychological thriller tells of childhood friends on the West Bank whose trust is threatened by murder, betrayal, and the pressures brought by intelligence officers searching for the killer of an Israeli soldier. Among the high-profile films submitted that didn’t make the cut: "The Past" by Iranian director Asghar Farhadi (who won two years ago with "A Separation"), and Haifaa Al-Mansour's "Wadjda," the first Saudi Arabian film ever directed by a woman. The Academy Awards will be presented on Sunday, March 2, 2014, at the Dolby Theatre at Hollywood & Highland Center. The broadcast will be hosted by Ellen DeGeneres.